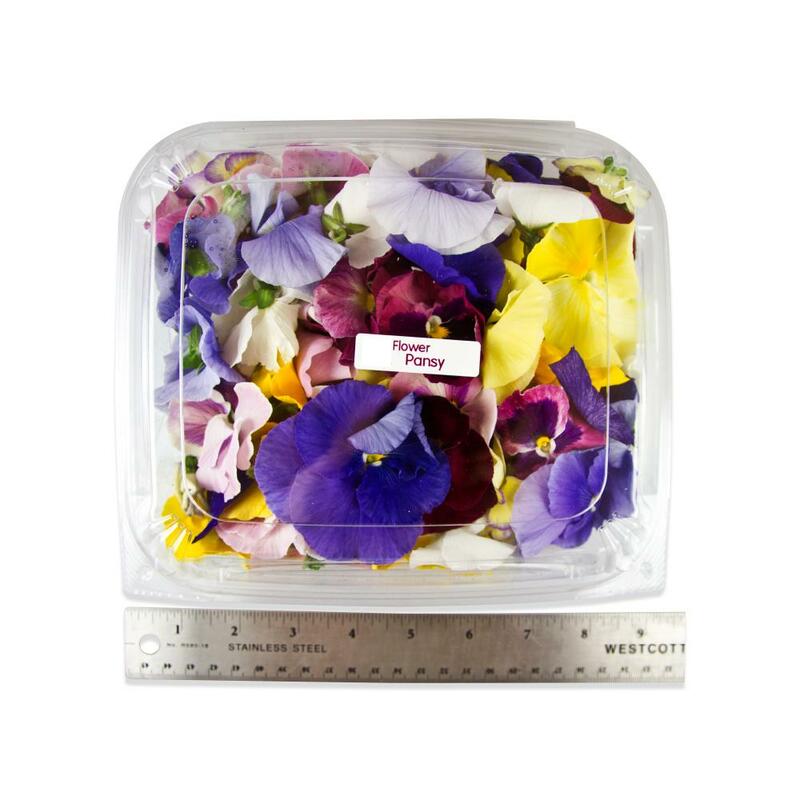 Food & Wine Magazine called our pansies “great garnishes for cakes and cocktails” – read the full article. Edible pansies have a mild, semi-sweet, wintergreen-esque flavor. 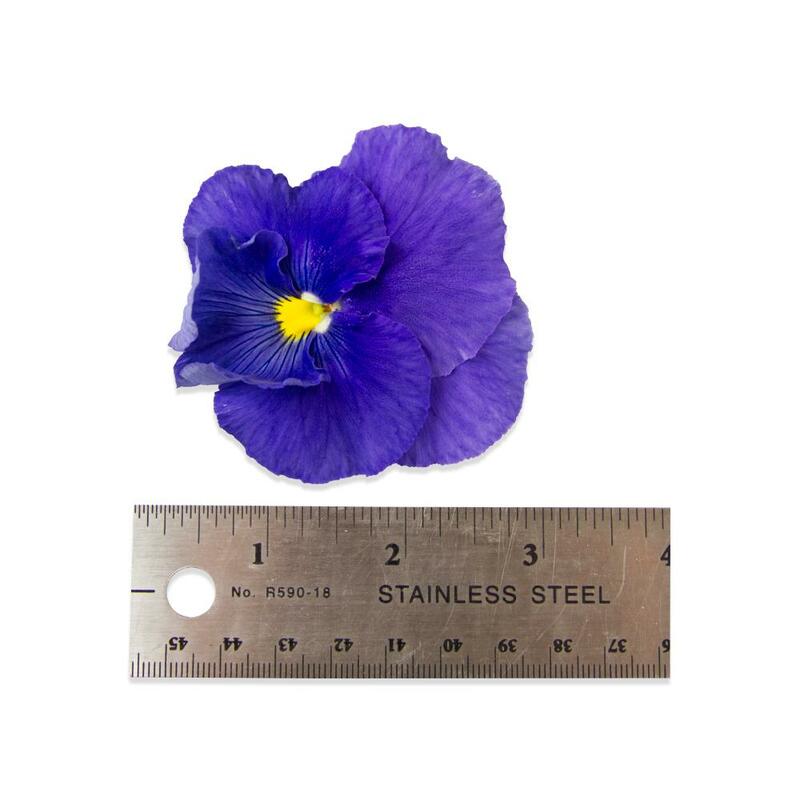 Available in a wide variety of colors, pansy blossoms are large and flat, perfect for use as a garnish whole, as individual petals, or candied. 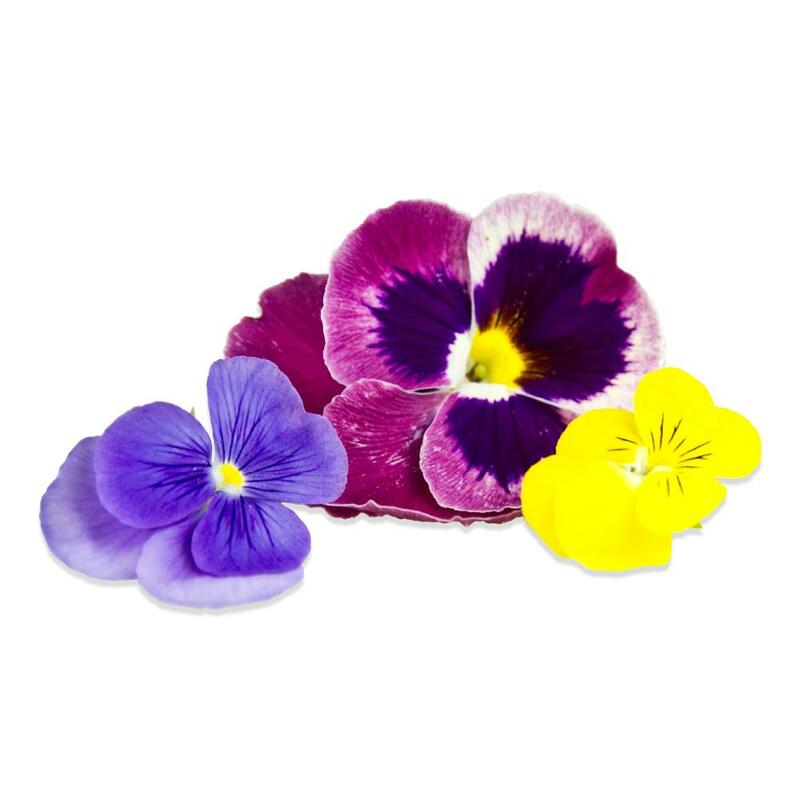 These pansy blossoms are sold as mixed-color blends that vary with availability. Pansy colors that may be in the conventional blend include white, red, yellow, blue, purple, and more. The organic blend may include purple, lavender, and/or yellow. Keep pansy blossoms in their plastic clamshells in the refrigerator until you are ready to use them. If they start to droop a little bit, try briefly dipping them in ice water to refresh them. Pansies can be used whole or as separated petals to bring bright color to plates, platters, cakes, and salads. If adding to salads, do so after tossing all other ingredients with the dressing to allow the pansies to shine. Because they’re relatively flat and have large petals, pansies are a particularly good choice for candying.